A recent trip took us to Sheffield and the Peak District. 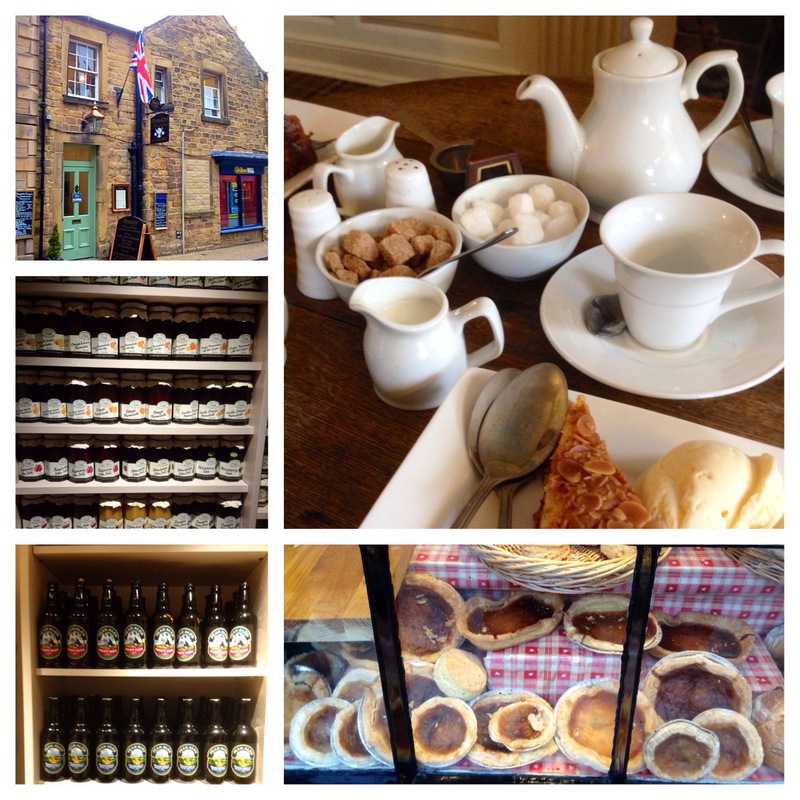 Here’s my piece on Bakewell, capital of the Peaks. Bakewell, the “ancient capital of the Peak District” in the north of England, is home to two pastries- the Bakewell tart and the lesser known Bakewell Pudding. Said to be the result of an incompetent cook’s error, using savoury rather than sweet pastry to make a jam pie for her mistress, the pudding caught on to become a local favourite. A pretty, touristy town, sitting on the River Wye, Bakewell has an inordinate amount of gift shops, pubs and fish and chip shops. Getting away from the main strip we found tranquility in the bookshops, a small art gallery and the labyrinthine fabric shop, worth a visit for it’s many levels and hidden staircases. Afternoon tea in a seventeenth century tearoom was accompanied by Bakewell tart. Submitted for the Daily Post writing challenge Pie.